Amid the continuing unrest across the Arab world, RT spoke with Evgeny Primakov, an expert on the Middle East and former Russian foreign minister, who says the revolts in the Arab world are a purely social explosion, not incited from outside. RT: Mr. Primakov, thank you for being with us today. 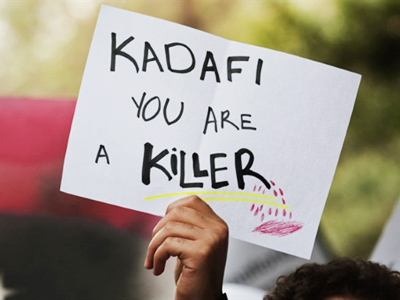 Speaking about the recent uprisings in North Africa, in the Arab world, how likely is it, in your opinion, that they might have been incited from outside? Evgeny Primakov: I think we can safely discard foreign involvement as a factor. These are purely internal events. After they began, however, other countries definitely became concerned over what was happening. I was in Washington DC when the riots in Egypt began, meeting with State Department officials. We had a bilateral meeting on the Middle East settlement. I saw that my American counterparts were really shocked by the scale to which the events in Egypt had escalated. Incidentally, the CIA and other intelligence agencies were quickly criticized for not predicting the possibility of such unrest. Almost immediately though, they became very active. President Obama called Mubarak several times (he was still President Mubarak at the time). They also maintained contact with General Omar Suleiman. The US chairman of the Joint Chiefs of Staff maintained contact with his counterpart in Egypt. All the channels were immediately activated. Even former diplomats who were well-connected in Cairo flew over to Egypt to help the embassy there. RT: Why did the United States abandon Mubarak so quickly? EP: This was America’s position from the very beginning. In his conversations with Mubarak, President Obama strongly recommended that President Mubarak step down before September, because Mubarak said initially that he would step down in September. That was leaked to the media and reported by several US newspapers. Yet at the same time it was clear that the US found itself between a rock and a hard place. On one hand, it had to maintain its image of a country that supports democratic revolutions. The riots in Egypt were democratic, not Islamic. There were no Islamic slogans, no green flags. All people wanted was to put an end to corruption and to allow normal economic growth develop. 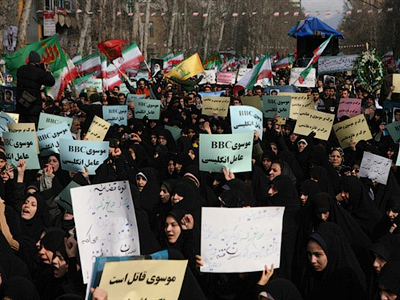 The primary protest was against the regime. So the US had to maintain its image by supporting the rioters. On the other hand, they had to do all they could to retain their influence in Egypt and other countries. The US strongly relied on Mubarak’s regime in Egypt and on Ben Ali’s regime in Tunisia. So they were looking for a way out of this predicament. At first they hoped that General Suleiman would remain in power. This was obvious since Hillary Clinton said that he might be the interim ruler until the election. Then it turned out that people didn’t like him because of his close ties with Mubarak. Then the military stepped in. RT: Some say that the United States was actually happy to see unrest in Egypt because it diverts attention from Israel. EP: No. That is quite a naive explanation. I know it is not yours, so I know I am not embarrassing you when I say it is naive. What do you mean by “it diverts attention from Israel”? Israel, too, is now facing serious problems due to the riots. For instance, they have opened the Rafah Crossing. In fact, it was opened some time ago. They just closed it during the crisis. So now Israel does not know what the new Egyptian leadership will do, whether they will maintain the Gaza blockade on the Sinai side, along the Egyptian border. I read an article in the Wall Street Journal that said the military and intelligence communities in Israel are in favor of preparing for a “re-occupation” of Gaza. At the same time, many experts say that would put Israel in a position where a large-scale bloody war would be inevitable. So we can’t say the situation was instigated by Israel, or that its purpose was to divert attention from Israel. This was a social explosion, and that is the way we should view it. But this process is slightly different in different countries. Take Bahrain, for instance. 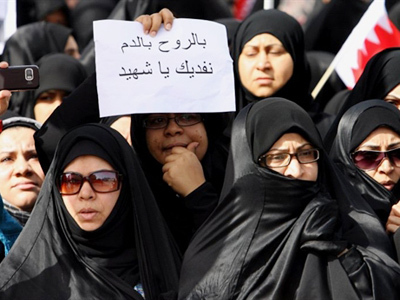 Twenty per cent of the country’s population are Sunnis, 80 per cent are Shia. The leadership are all Sunnis. Shia Muslims consider themselves oppressed. Now they want to be represented in a coalition government. They are in talks now, and they may find a modus vivendi in Bahrain. In other countries, the phenomenon is purely social. I am sure Islamic groups will take part in it, but we have to differentiate between them. We shouldn’t paint everybody with the same black paint. Take the Muslim Brotherhood in Egypt, for instance. It is a movement that now wants to become a political party. They already have 20 per cent of seats in the parliament. They are proposing a social program. The movement is actually a combination of different forces. There was a very interesting story in a local newspaper about the Muslim Brotherhood having a youth wing and a women’s wing. These two groups detached themselves from the rest of the party and joined the protesters. That means something. We should not view the world in black and white. It is very unwise. RT: Still, everybody is wondering if those uprisings may Islamize the region instead of democratizing it. EP: No, I don’t think that is possible. Let’s look at what brought about the riots. 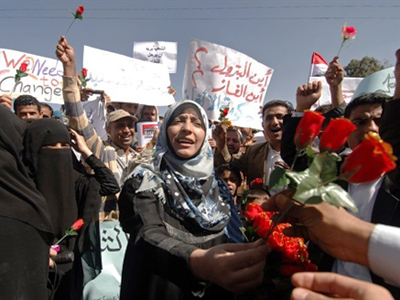 Many people believe that all Arab states sooner or later end up having an anti-colonial revolution. Not so. Those revolutions are not just anti-colonial. They are directed against authoritarian regimes. Also, we probably underestimated the way new technology affects Arab countries. Why did the riots happen in Tunisia and Egypt? Because these are the most advanced Arab countries. The internet, television and mobile phones helped organize the people. 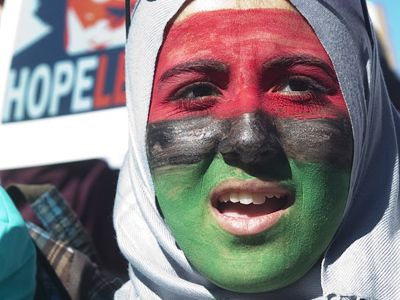 There is a youth group called “The April 6 Movement” in Egypt. It has approximately 70,000 members. The movement is internet-based. These young people spearheaded the street protests. RT: The internet was invented a long time ago. Why are these uprisings happening today? And why are they happening in such close proximity? EP: The riots in Egypt, I think, happened largely because people saw on television what was happening in Tunisia. RT: So, it was a domino effect? EP: I think so, yes. RT: Talking of US influence in the region, how did it change over the past few years? Is it growing stronger or weaker? EP: It is too early to judge about that. I believe I have said enough on the subject. RT: You also mentioned that these uprisings may affect the Israeli-Palestinian settlement. Do you think that new forces may emerge in the Middle East and that they may be able to dominate the region? EP: It is hard to say what is going to happen at the moment. We have seen the statement made by the prime minister of the Palestinian Authority saying he is ready to form a coalition government with Hamas. That is also a repercussion of recent events. At the same time, it helped relieve pressure in the region when the Egyptian military, which are currently the de facto government, announced they would observe all the agreements previously signed, including the 1979 treaty with Israel. So it is hard to judge the situation right now and I can’t give a direct answer. I think it will become clearer after some time has passed. In any case, I think it might force the Israeli leadership to give up their policy of maintaining the status quo in the Middle East. So far, the Israeli leadership has been leaning towards preserving status quo and abandoning the idea of a peaceful settlement, despite numerous UN Security Council resolutions and President Obama’s Cairo speech. Israel kept building new settlements in the West Bank and East Jerusalem, sabotaging all attempts at negotiation. I think recent events may cause them to reconsider their policy because global trends are not in favor of Israel’s annexation policy. In fact, they cannot really annex the West Bank. If they were to annex the West Bank, Israel would cease to be a nation state. It would become a state of two nations and they realize that. That is why they want the status quo. They want to preserve the current state of affairs. RT: Mr Primakov, when this series of uprisings started, some compared them to the “color revolutions”, even though these two things are not directly related. 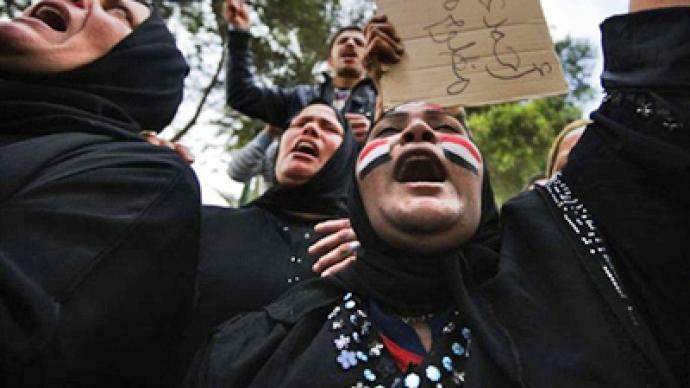 What lesson can we learn from these uprisings in the Arab world? EP: A lesson? We should learn that things are never completely calm. They are like the sea, always rippling. And it is not just the Israeli-Palestinian conflict or some other conflicts between various Arab states. Discontented people, especially young people, can also create waves. They don’t have any prospects for the future, so they go out into the street. 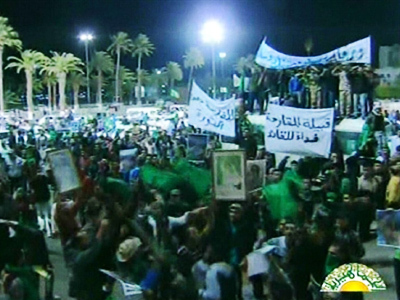 They stage rallies in Tahrir Square and in similar places in other Arab countries. This is something we have to take into account.